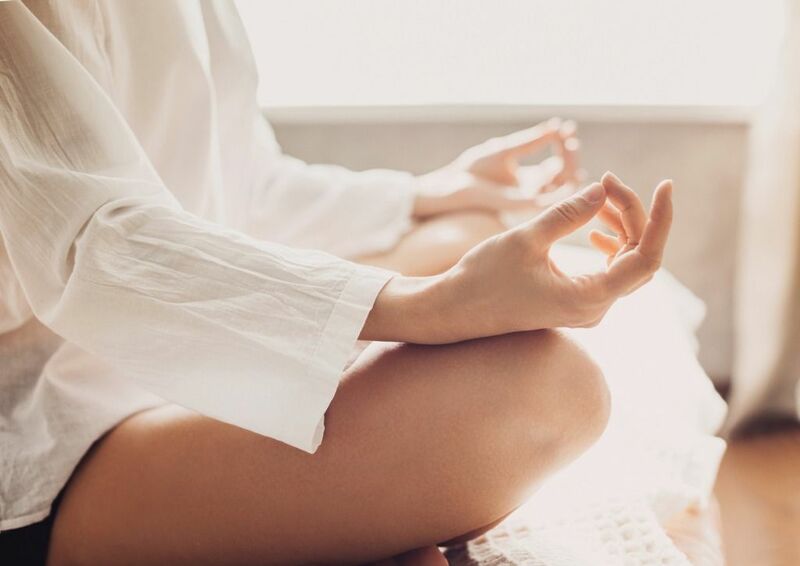 The American way of meditation is now firmly a part of our lifestyle, and millions of people who have taken up yoga and learned about mindfulness feel quite comfortable meditating. I’m saying “the American way,” because it took scientific research and the promise of improved health to convince the average person that meditation wasn’t mystical, in a society where mystical implies religion, or in this case Hinduism. The acceptance of meditation has been a good thing, but I wonder if its true meaning has taken hold. The situation today feels much like it was thirty years ago, when being serious about meditation meant you were a committed Buddhist or otherwise found the time to devote hours a day to sitting in lotus position. Meditation still has a split personality, one side promising nice benefits like relaxation and lower stress levels, the other side requiring you to get serious about renouncing everyday life and its demands. The noted spiritual teacher J. Krishnamurti made a crucial point when he said that to be real, meditation must happen twenty-four hours a day. As startling as that sounds, he wasn’t demanding a specialized lifestyle that even Buddhist monks would find hard to maintain—after all, twenty-four hours a day implies that you’d meditate in your sleep. What, then, did he mean? The point, I think, is that a person should live from the deepest level of awareness all the time. Everyday life is preoccupied with the restless surface of the mind, and taking a little time to meditate during a busy day is merely an interlude. The restless mind still has its way the rest of the day. But there are other issues to confront. In the unconscious resides “the shadow,” Carl Jung’s term for the hidden forces of anger, fear, dread, guilt, and shame. These forces have a power that the rational mind can’t resolve, hoping only to keep them at bay. But repression is a flawed strategy, as the prevalence of war, crime, and domestic violence glaringly attest. Then there is the still mystifying occurrence of depression, obsessive compulsion disorder, free-floating anxiety, and other mental disorders, which seem to be getting more common even in the face of therapeutic drugs. What these issues tell us is that the mind is divided against itself, fragmented by conflict, confusion, and random events that disrupt everyday life. This isn’t news. The mind, when it reflects on being human, quickly realizes that its great opponent is itself. Mind versus mind has been the major conflict every culture has been engaged in. The American way of meditation skirts this conflict or lightly brushes it. 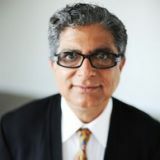 As impressive as the health benefits of meditation are—I am not remotely discounting them—the real purpose of meditation is to answer, once and for all, the true nature of the mind. The pursuit of higher consciousness, the process of waking up, the journey to enlightenment—whatever term you use, meditation solves the problem of the divided mind by opening the door to whole mind. The mistake we all make is to identify the mind with the activity going on in our heads, the endless stream of sensations, images, feelings, and thoughts that comprise consciousness in its active phase. In the gap between thoughts, something else appears—consciousness as the silent, boundless source of mental activity. Real meditation explores pure consciousness, brings it to the fore, and establishes it as the true nature of the mind. This is like detective work, uncovering and unmasking the culprit, only to find that there is no culprit. The mind warring against itself is nothing but a mask. Behind it there is no one to blame or fear. No inner enemy lurks in hiding to trip us up if we lower our guard. Meditation becomes a twenty-four hour process when you see clearly how you constantly defend and protect yourself without purpose, except to increase the fear and insecurity that keeps those defenses up. Without being fully conscious of this, the average person distrusts the mind for its ability to create suffering. But to say that meditation ends suffering, however true, isn’t enough. Meditation puts you back in touch with reality. What we call reality in the accepted sense is a mind-made artifact. Seeing this clearly is another aspect of meditating twenty-four hours a day. Can this project really extend to sleeping at night? Yes, because pure consciousness is aware of itself, and that doesn’t end when the brain and body need the renewal of sleep. But for now, it’s the waking hours that demand our attention in meditation. Contrary to the image of the cross-legged yogi lost to the world, meditation is a dynamic, wakeful process. The purpose of sitting for a period each day to use a meditation technique is to deepen one’s experience of what pure consciousness feels like. With few distractions. The mind is thus reacquainted with its true nature. Outside meditation, the rest of the day is about noticing, seeing, and changing. We are our minds. If the mind becomes eager to wake up, to unmask its fears and return to its true nature, the same eagerness will seep into us as we go through the day. We all know what it’s like to spend the day eagerly awaiting something we really cherish, whether it is meeting a loved one, reading a book that can’t be put down, or watching the Super Bowl. The same eagerness applies to meditation. Once the spark is lit, the mind cannot wait to find out what reality is all about, because there is no difference between the true nature of the mind and the true nature of everything in existence. Meditation is the greatest quest ever conceived, and it is open to everyone. Fear and suffering are very bad motivators; we’d rather turn our backs on them than try to solve them. The only lasting motivator is desire, and meditation brings out the deepest desires, to know who you really are, to achieve fulfillment, to turn chaos into orderliness, to create a life whose satisfactions can never be undermined or taken away from you. None of these desires is foreign to anyone. The secret of meditation is that they can be realized in full.